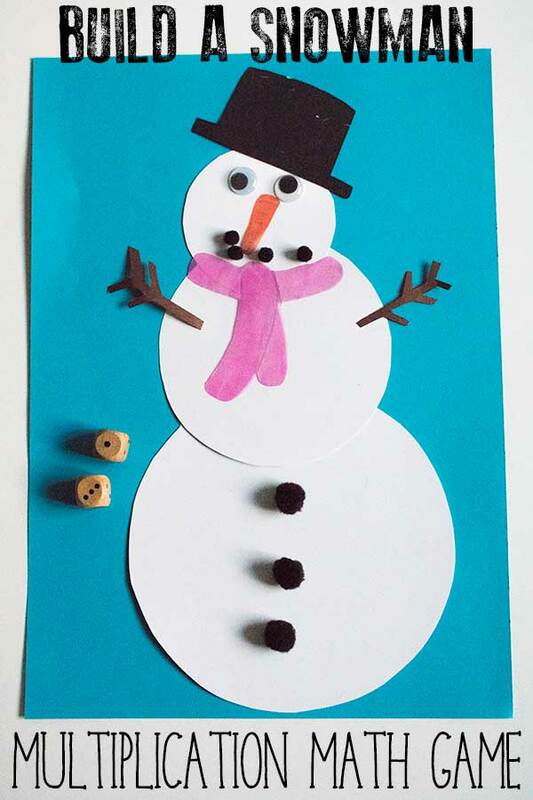 This winter-themed multiplication game is perfect for reviewing the times tables 1 to 6 and can be played solo or against other players. Each player will need their own set of items to build the snowman but you only need 2 dice no matter how many players you have. 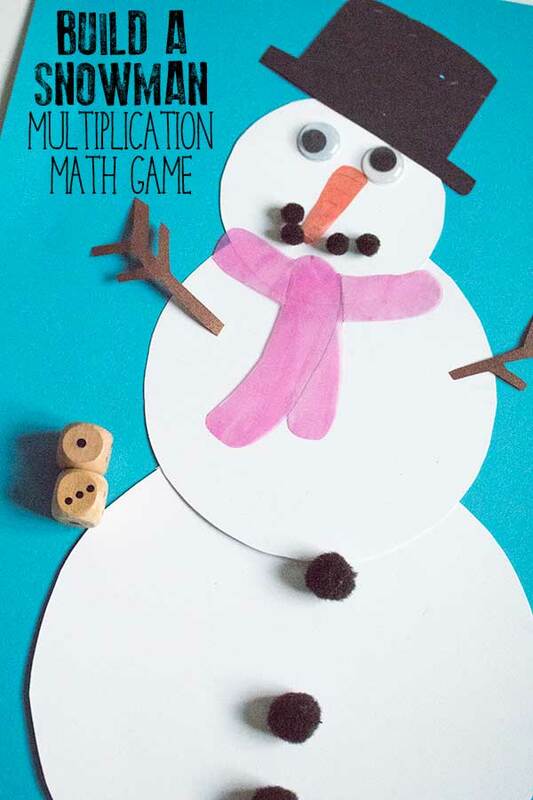 So here it is a Build a Snowman Multiplication Game ideal for practicing and reviewing the 1 to 6 times tables. We have included affiliate links to products and resources we recommend and used for this activity. 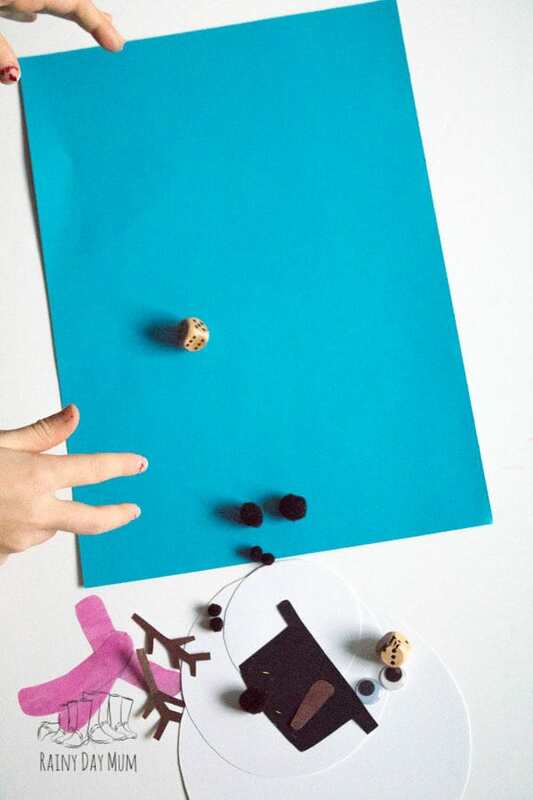 Try our multiplication eggs for some more DIY Maths Games for Helping learn times tables. 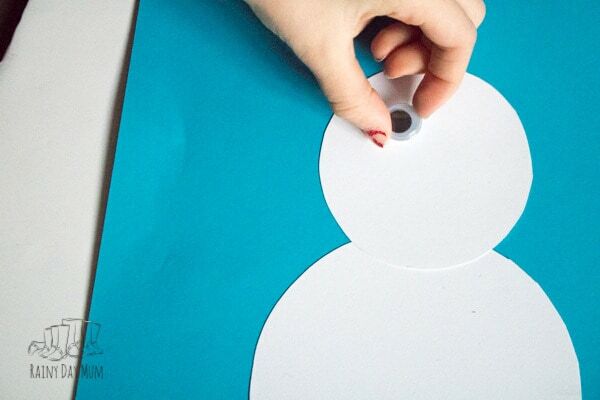 Draw 3 different sized circles on the white cardstock. Cut a carrot shape either from orange paper or colour it in orange. 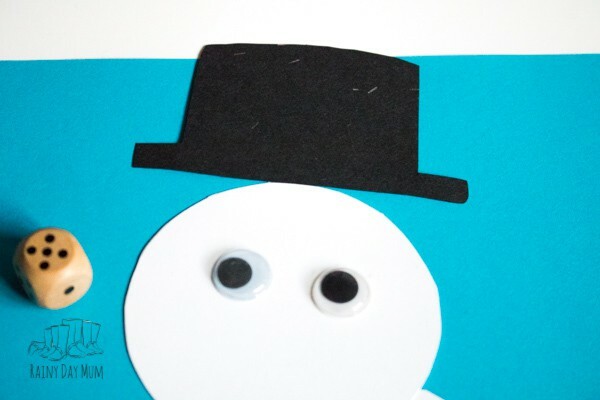 Out of black cardstock cut a top hat shape for your snowman. From coloured paper or card cut a scarf shape. Cut two stick arms from the brown paper. 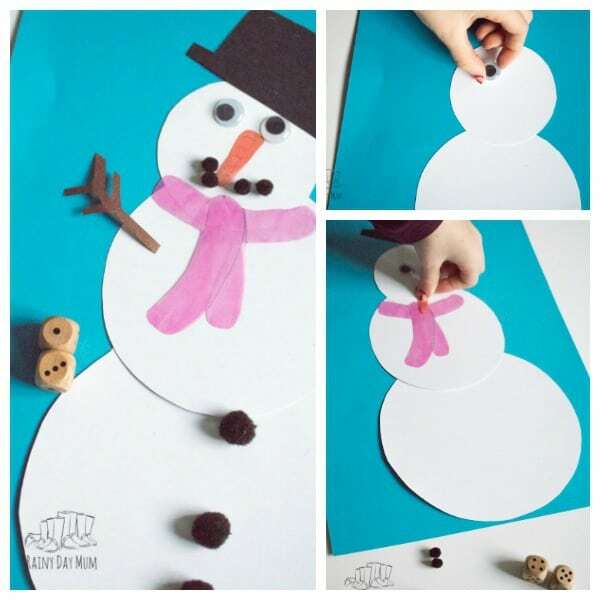 Download and print out the build your snowman game rules which will provide you with which pieces go with which answer when you multiply the dice together. 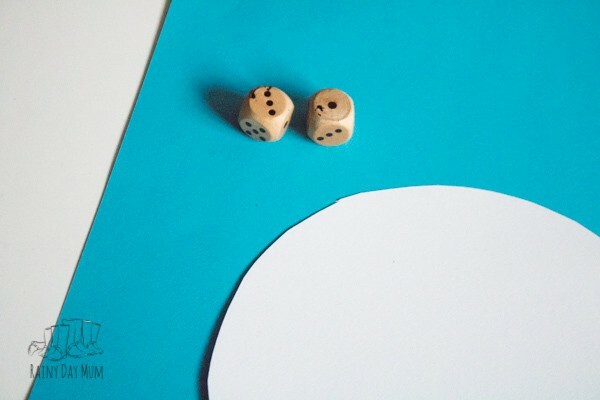 Roll the two dice and multiply the numbers together. 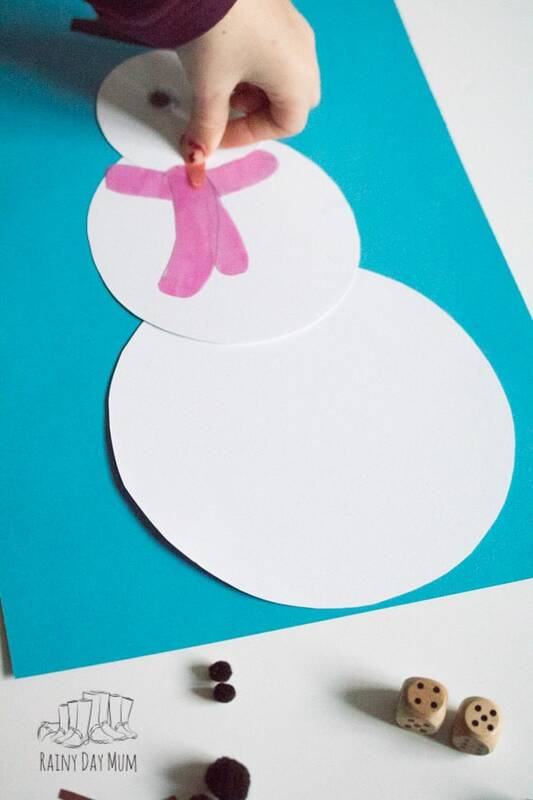 You need to have a 4 or 6 or 12 answer to start building your snowman as these are the body parts. Once you have all of the body parts you can then add the other parts as you go roll the correct number. If you roll the same number twice you have to wait until you get a new number. 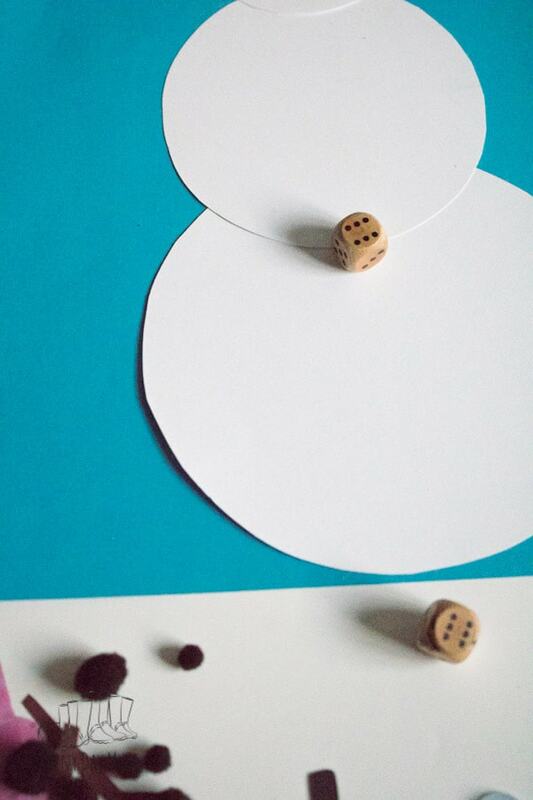 This makes great practice as although the dice are fair you may find you repeat the same numbers time and time again. We used our fingers to work out the times tables – doing 6 x 1 is 6, 6 x 2 is 12 as it’s one of the areas we are working on at the minute. 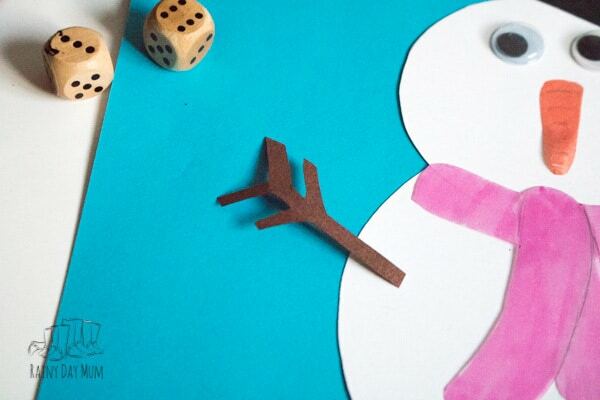 Same rules apply – but now it’s a race to build the snowman first. Don’t forget you can download your game rules and game cards when you join our Hands-on Activities News Letter. A multiplication square is a handy tool to have because I firmly believe that children learn best hands-on this wooden multiplication square is one of my favourites. One each of the cubes the number sentence is written and then the reverse has the answer to the problem. Subtraction and Addition are reverse equations so are multiplication and division. These triangle number fact wipeable boards are a great way to help students understand these number facts. Use them with a set of counters to create arrays to show the relationships. Playing helps with learning and revising topics. This Bingo game that focuses on Division and Multiplication is a fun way to practice these number facts that it’s useful if children learn off by heart. Help your child further with maths moving to the next step understanding the Inverse relationship between multiplication and division using our DIY Maths Fact Family Triangles. My kids had so much fun with this today! I adapted it a bit to go up to multiply by 8’s by having them use 8 sided dice. It was fun to see my daughter actually having fun working on math. 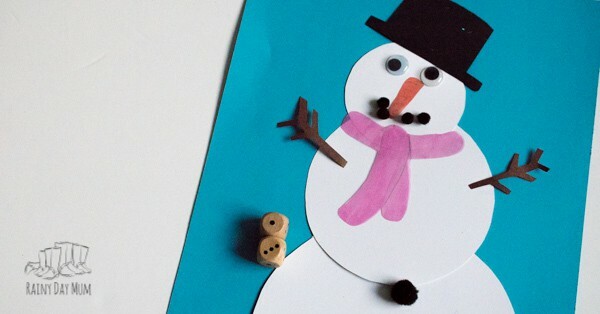 We will definitely be doing more of what I called “crafty math” in the future. That is fantastic to hear – I’m now on the look out for other sided dice as is we could go to the 12 times tables that would be fantastic for my eldest too. What a great adaption and I’m going to add it into the post as an extension with more abled children.